Before we start....I have a confession, I have a bit of an obsession with body moisturisers and I get totally sucked in by them, I'm well aware that I've been reviewing quite a few of them recently... Let's move on from that though because I genuinely do think this is worth sharing and everyone likes a good body moisturiser in the Summer don't they?! 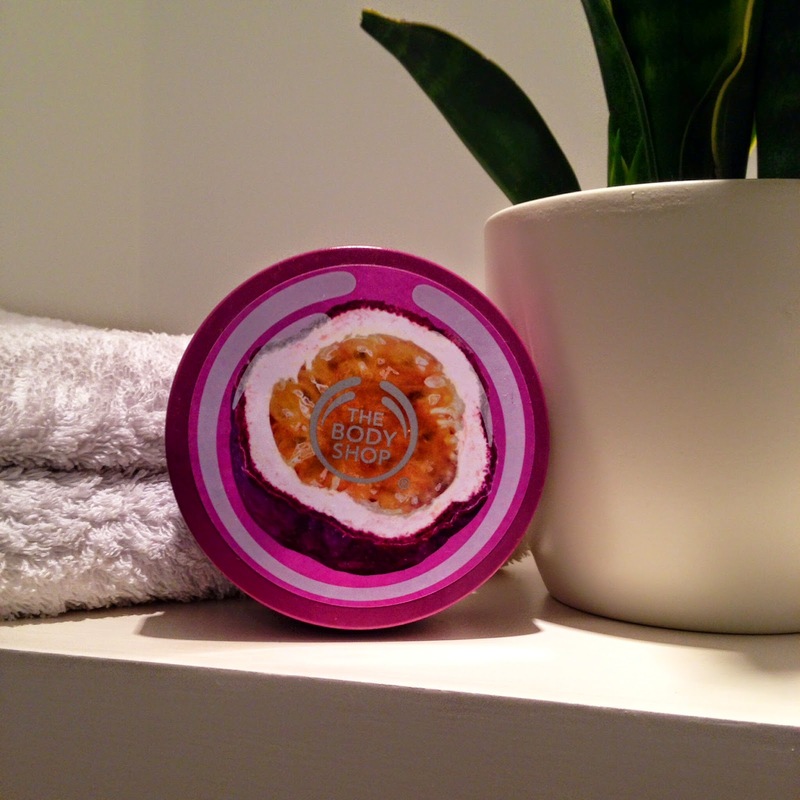 Firstly, let's talk 'The Body Shop'. It brings back memories of being in my early teens and smelling like 'Fuzzy Peach' or 'Dewberry' (I was never a 'White Musk' girl!) and my first experimentation with fake tan! Not to mention the fruit scented soaps that my friends and I used to exchange at Christmas time as presents! Let's just say we weren't an imaginative bunch at that age! Recently, I've been having a bit of a Body Shop revival and what I've been trying is actually turning out to be be pretty impressive. I'm currently using some of their skin care which I will review once I've tested it for a bit. I've heard people harp on about these body butters for years but always turned my nose up at them in favour for something else. I was walking past the window of Body Shop a couple of weeks ago and noticed that they were on offer. I needed a new body cream (I'm getting through oodles of the stuff at the moment with it being Summer and wanting to keep my skin nice and hydrated whilst it's on show!) so went in to have a little sniff of them. Now don't get me wrong, some of them smelt a little odd (Olive was particularly weird!) however the passion fruit one smells so good you feel like you could eat it, and I'm not going to lie, the child in me did put a tiny bit in my mouth, let's just say that wasn't pleasant!! I like the tub for it's ease of use and being able to get just the right amount out without dropping it everywhere. It sinks nicely into the skin reasonably quickly for a butter consistency and leaves the skin with a beautiful sheen to it. My skin definitely does feel in better condition since using it and I have fairly dry skin. 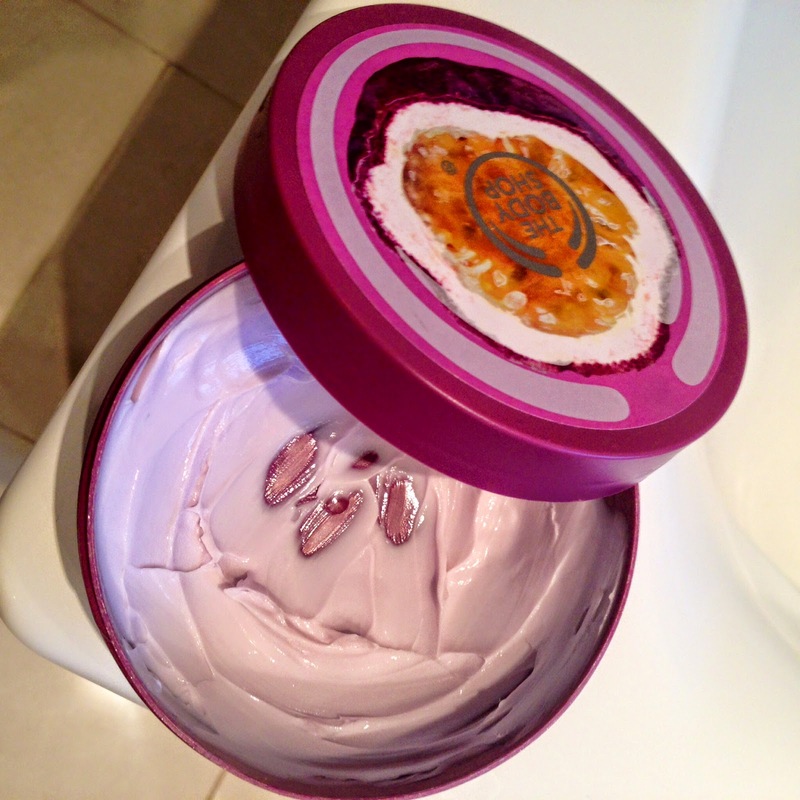 The only reason I didn't buy it is because I have nearly a full tub left of the coconut one! pooh you should, this one is quite 'fresh' smelling! I'm definitely going to buy some more! Ahhh fuzzy peach and dewberry! Am intrigued how old you are now as they were pretty much my staples at secondary school. And the Impulse body spray that smelled of sweeties! !